Have you been experiencing struggle recently? It can show up as not feeling like working or being around other people and wanting to cocoon and go within. It can show up as interference in your typically rested and uninterrupted sleep with less rest and more interruptions. We are at the edge of a cycle change, a change in the moon. Each of us is affected differently during changes in the moon cycle. You often hear about the Full Moon and how it affects people, mostly negative stories –right? What about the New Moon? With the New Moon, I get excited for what I’m bringing in and activating into my life. Yet, sometimes I’m noticing it brings me a little bit of nervous energy which effects my sleep. Nothing drastic, yet I may wake up a few nights prior in the middle of the night. Sometimes I fall right back to sleep and other times, I lay there resting and feeling rested. The nervous energy can be attributed to discomfort I’m feeling in the darkness, the space between where I was and where I will be. If you’re feeling differently in the last week or so than you have been, you’re most likely feeling affects of the New Moon. What are you moving towards that is new in your life? Are you resisting? Are you nervous? Are you in space of decision or waiting? How can you embrace this cycle with LOVE? Focus on your heart. How does it feel in your heart. Send love to it. Today/Tonight is a magical time to focus BIG TIME on what you want and desire in your heart to bring in. Call it to you. Focus on it from LOVE. Talk about it. Journal about it. Meditate on it. Set intentions. Let the energy of it surround you. Part of embracing the cycle is to allow yourself what you need. Listen to your body. Do you need space? Give yourself some space. Take time outside and just be. Change your routine. Give yourself the freedom of listening to the inner you from a place of love. If you’re at work, you can step outside for 5 minutes and walk among the trees in the parking lot away from your building. If you’re driving, open the roof or the window and turn off the radio. Listen to the sounds of Mother Nature. What keeps coming up that wants to be realized? What is calling to you to bring it in to your life? The New Moon is a time of magic and brings about the activation of that which you put focus, energy, passion, thought and feeling towards. It is a time of magical manifestation of what you want to bring into your life in the next 30 days. Want more happiness? Call it in. See yourself smiling inside and out. You don’t have to know why or how. Just feel and visualize it inside you. Ask for it, better yet, command it. It’s already there. What you desire is already there. Then pay attention over the next 30 days for the messages you get inside and the experiences and people coming your way. Say yes to what is in alignment to bring about your happiness. If its a new job or a career shift, focus on how you want to feel in this environment. What’s the culture of the company? How do you feel as you go to work each day and return home each night? If you know the work that fills your heart, include that or if it’s circumstances, include that. Focus on this from the place of your future self who already has it because you do. Above all don’t forget the gratitude: “I am so happy and grateful now that…” Write at least 3, say them aloud and feel your energy tingle with the confirmation. It is done, It is done, It is done. 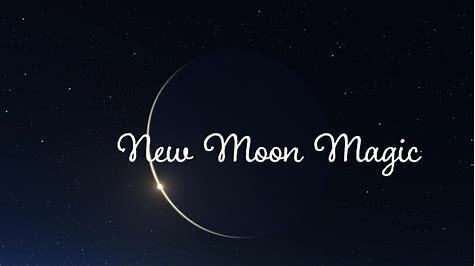 Tonight I will be in ritual, enjoying long meditation and journaling surrounding myself with music and perhaps some drumming outside with my son as we dance welcoming in the New Moon energy. This New Moon in Gemini brings opportunities for you to call in personal goals. Improving communication skills by reflectively listening to others and enjoying other points of view, rather than seeking to find the “elusive” answer. Become more aware and reflect on communication and social interactions. How much do you take in and hear in a friendly, non-threatening way? This New Moon Magic Energy offers the opportunity to make important life changes. The New Moon is a more inward, dark, void or empty feeling. It can be uncomfortable and frightening if you’re not comfortable with uncertainty. Can you learn to trust the dark? Can you even become comfortable embracing the mystery? This is the moment when the old passes away and the new is not here…yet. Set your intentions for this New Moon Magical time and bring it through your heart. This entry was posted in blog and tagged belief, change, choice, confidence, Divine, ease, emotions, energy, energy healing, fears, feelings, flow, freedom, God, grateful, happiness, happy, harmony, healing, hope, improve, joy, light, love, Magic, meditate, new moon, passion, peace, selfcare, selflove, shift, spiritual, stress, Universe, vibes. Bookmark the permalink.